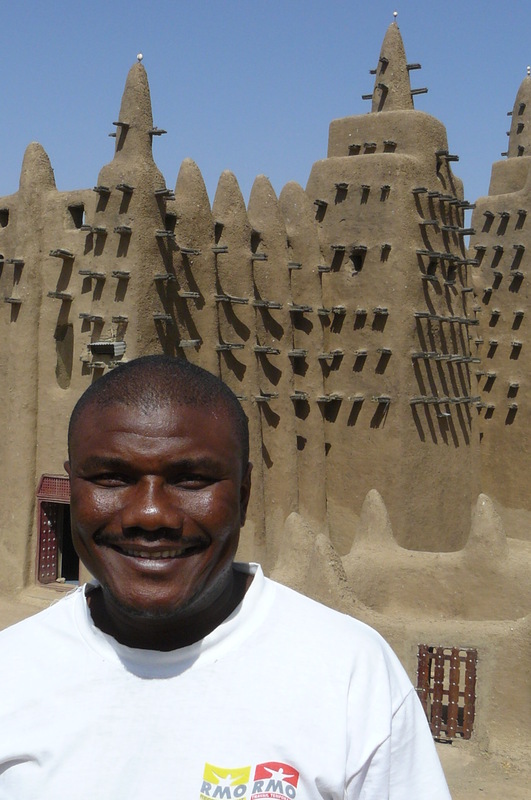 Aly: I'm from Bandiagara, capital of Dogon country. My father is a natural knowledge man, so he gave me a lot of history about natural knowledge and Dogon culture. When I was about 14 years old, I was lucky to meet a Peace Corps guy who taught me English and I taught him Dogon and I began to guide the Peace Corps family. I like to give the history and knowledge I have about Mali and to learn new knowledge from the people I guide. I've been guiding for 15 years now and opened Toguna Adventure Tours with my partner, Karen, in August 2000. Ambejelli! 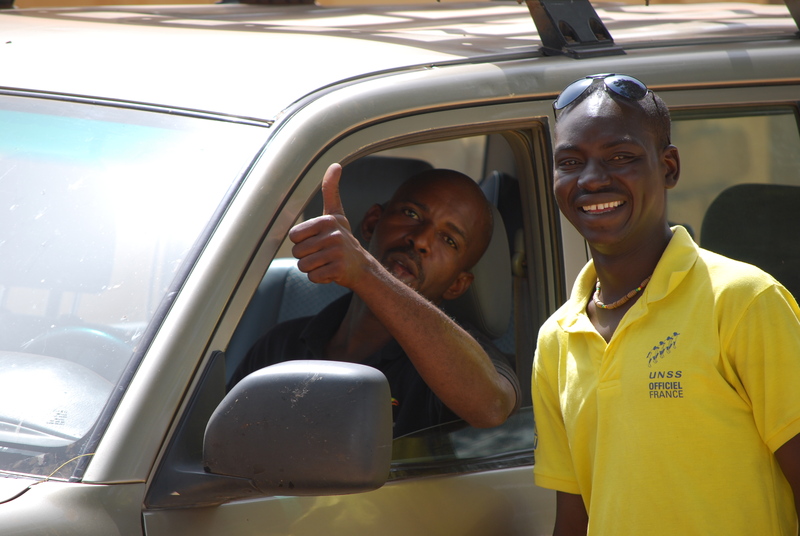 (Welcome in Dogon) We invite you to come travel with us. We have the knowledge and expertise to offer you the best conditions possible. Whether your interests are in anthropology, archeology, research, photography, drumming, learning to play the Kora or just having a good time, we can give you the kind of experience you are looking for and ensure that you have a great time with us. Mohamed: Hi, I am Mohamed Traore. I am 35 years old, born and raised in Sierre Leone but of Malien origin...the Malien empire once encompassed West Africa from Senegal to the Sudan........I love meeting different people from around the world and sharing with them our African culture and heritage. I speak fluent English and French and have 10 years guiding experience in Mali, Senegal, Burkina Faso, Benin, Togo, Ghana, Ivory Coast, Guinee and The Gambia...and now I bring this knowledge and expertise to Toguna Adventure Tours. We know the expectations of visitors and how to best satisfy their needs so they can relax and have a wonderful experience...we welcome all of you to come discover West Africa with us. Ogomano: Hi, I am Ogomano Saye...I am Dogon from Daga, a village on the plateau above Tireli........I am happy to meet you and introduce you to my culture..my grandfather was a Hogon and taught me many things...and now I bring this knowledge and expertise to Toguna Adventure Tours. I have guided journalists, photographers and television crews giving them new insights and unique experiences...last summer I was invited to Amsterdam by the Dutch television for their reality program ... you are all welcome to come discover Mali and Pays Dogon with us ! Karen: I have spent half of my life in the business world of New York City and the other half traveling - I've traveled to more than 35 countries and lived in 5 of them (U.S., England, Ireland, Nepal and now Mali). I originally came to Mali with my mother for a vacation and Aly guided us in Dogon and Tombouctou. He has a lot of knowledge and is a great guide, so when he approached me to help him open up Toguna Adventure Tours, I had no hesitation. It was kind of a natural for me, as I love to travel and knew one day I would end up in the travel business. As my background and expertise is in the business world, I'm the administrative person behind the scenes. Aly and our other lead guides speak such good English (as well as French and the local languages) and have such good guiding experience, that I'm not really needed to travel very often with our tourists. I mostly stay in the office and run the business-end of Toguna Adventure Tours. West Africa is full of history, culture, diverse peoples and landscapes - the people are incredibly open and friendly. Come discover this part of the world with us!